As a fashion-related theme, Fashify tries to give you as many nifty little design elements as possible. 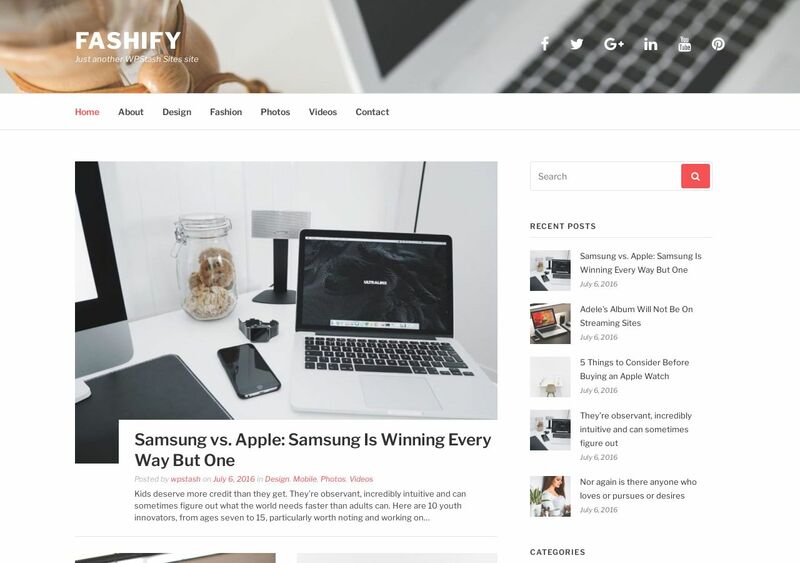 The principles used in Fashify are in line with what an editorial-quality magazine would require. As a result, if you operate a platform that frequently publishes news content — this is a theme for you! The white-background color scheme is ideal to highlight fashionable photographs of clothing, jewelry, and other fashion-related commodities. Unique to this theme is a bottom-fold footer widget where you can showcase a selection of staff-selected content posts. Ideally, you will put in your best recent articles in this section. Other than that, the overall flow of Fashify is precise and puts emphasis on content consumption rather than design confusion.